We believe that you will enjoy carrying your small items you have been using, kept in storage gently and you will love them even more. This is the series that we strongly recommend to those, who want to take good care of their beloved items. 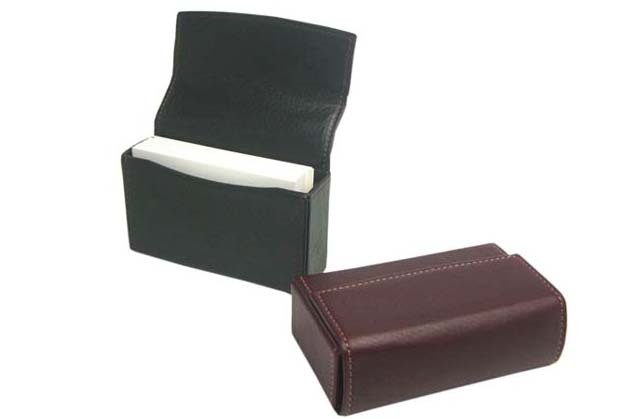 This is a BOX-shaped card box that enables compact storage of your name cards, point cards, various credit cards, members’ cards, information cards etc. according to the purpose. The lid part makes inserting and taking out of cards easy thanks to the magnetic mechanism used in it. We have chosen the material Ecsaine for the lining, which is not too showy, but gives just fine accent of the color. 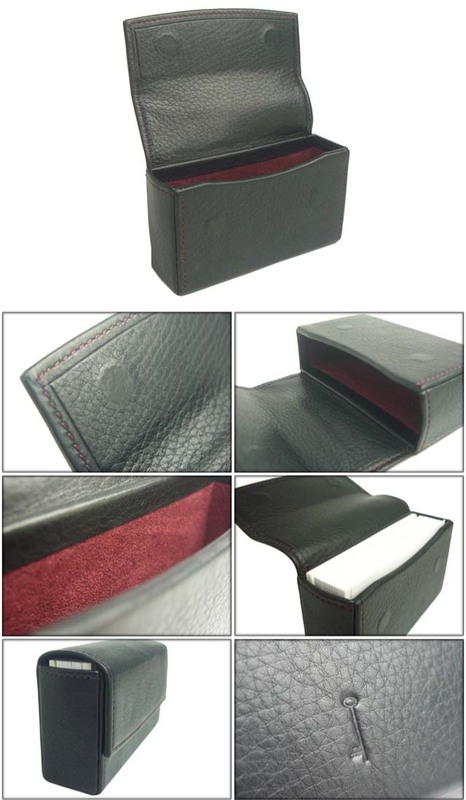 The soft lining material will hold your important cards gently. You will make good use of this box, while it can be easily carried in a bag and hold 100 business cards, which come in handy during events such as exhibitions or conferences, when you have to exchange business cards. This card box has been made according to Japanese size standards for the business cards (55mm x 91mm). The Western size is a little bit smaller than the Japanese, so you will not to have worry that it is too small to carry your cards.